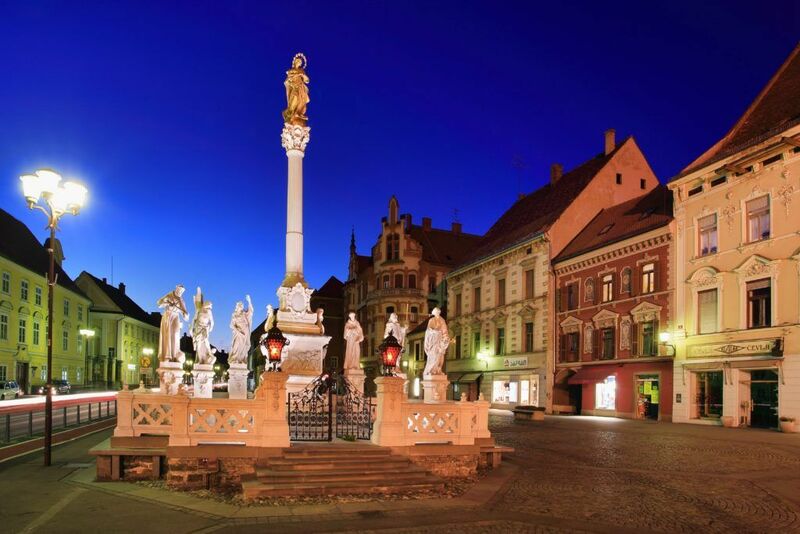 As the second largest city in Slovenia, Maribor oozes the historic charm of a relaxed, medieval town. It is no wonder, then, that in 2012 Maribor was awarded the flattering title “European Capital of Culture”. “A life well lived” could very well be the slogan for the capital of Slovenia’s Styria region, for its greatest asset is its extraordinary access to nature, with an attractive position between the Drava river, the green Pohorje plateau on one side and, on the other, sunny wine-growing hills that stretch all the way to the Austrian border and beyond. With its quality congress/business capacities and opportunities for unique experiences combined with picturesque surroundings and the warm hospitality of the people, Maribor is becoming increasingly renowned as a host destination for conventions, seminars, and other meetings and events. Maribor, due to its incredible landscape, offers extensive sports activities all-year-round. As an example of its good practice in preparations and hosting of various sports events, Maribor collected in December 2017 its title as the European City of Sport 2018. In the frame of the programme as the European City of Sport 2018, Maribor has been this year hosting several sports events, including the AETF Senior and Junior European Taekwon-Do Championships, the IXS European downhill cup, the Ice Hockey Women’s World Championship Division II, the Vinoeuro, the European football championship of wine producers, the FIMBA European Maxibasketball Championship (European Basketball Championships for veterans), and the European Kickboxing Championships, to name a few. In addition, Maribor is well known for one worldwide attraction – the annual Golden Fox FIS Ski World Cup which was held in February 2018, while its celebratory 55th edition will be held in February 2019. Maribor is home to the oldest vine in the world. The “Modra kavčina” or “Žametovka” or “Žametna črnina” (Blauer Kölner), certified as being more than 400 years old, is the Guinness record holder for the oldest noble vine in the world still bearing grapes. The vine, also a protected natural monument, grows at the front of a long solid two-story old townhouse, named The Old Vine House (Hiša stare trte) situated in Lent, Maribor’s old city centre, and near the serene Drava River. The Old Vine House, built in the 16th Century, is apart from being a hotspot of wine tradition and culture of Maribor, Styria and Slovenia, an exceptional event room offering wine tasting of excellent wines from the Styria region and it also offers space for business events and incentives. The uniqueness of the world’s oldest vine, located in the old town core of Slovenia`s second biggest city, spiced up by excellent wine and food creations and the notorious hospitality of the locals, definitely results in the uniqueness of the event itself. This year, a catering & cultural event in front of the Old Vine House for the guests of the Slovenian Incoming Workshop was held. Just a short distance from Maribor, nestled among rolling green hillsides and exquisite vineyards, the Ramšak estate offers a fairytale country castle. The heart of the property is the wine-growing infrastructure surrounded by a tree house and glamorous tents furnished like luxury hotel rooms with bathrooms, spacious terraces and a garden jacuzzi. It all adds up to unique comfort mingled with the magic of sleeping under the stars, breathing fresh air, and listening to the sounds of a stream. The estate offers various experiences that give visitors an insight into the wine-making process. The wine shop in the Old Vine house offers excellent wines made by local producers (with international success), which are also offered for wine tastings. At the moment, the wine shop boasts of 165 very best wines from the Slovenian Styria region. Unfortunately, the wine made from the Oldest Vine is not possible to taste. It is very precious; the amount is very limited and it is used as the protocol gift of the city. However, there is a great comfort to that – the wine shop sells the wine of the first descendants of the Old Vine. This unique gift can be combined also with a special jewellery made of the oldest vine’s leaves. The city of Maribor with its vicinity is a home to two of five best restaurants in Slovenia according to Austrian culinary magazine Falstaff: Hiša Denk in Zgornja Kungota with chef Gregor Vračko, and Mak restaurant in Maribor’s city centre with chef David Vračko. Both of the chefs, Gregor Vračko and David Vračko, are brothers as already their surnames imply. They don’t belong only among the best chefs in Slovenia, but also in Europe. The Pohorje plateau the pride and joy of the Styria region and its capital Maribor, is a natural wonderland awash with primeval forests, lakes, waterfalls and an abundance of hiking and biking trails that criss-cross its breathtaking scenery. In winter the area is transformed into a buzzing ski resort, one of the largest and most attractive in Slovenia, an additional speciality of which is the longest night-skiing trail in the country. Additionally, on the Pohorje plateau range, in the embrace of the intact nature of the Natura 2000 Natural Reserve Park, lies a boutique, fairytale village with eco bungalows made exclusively of natural ecological materials such as Pohorje supre timber and wool. The Ruševec Estate, consisting of the Green Village with eco-lodges, eco villa, and eco-wellness, is committed to an ecological experience of nature. This mission is also shown through its Permaculture Circle. The area is ideal for biking, hiking, running, skiing, climbing, swimming, mushroom picking and spending time in the Šumik Primeval Forest Reserve. Special treats come in the form of organised trips to the intact areas of Pohorje – the main attractions being local culture, flora, and fauna. Maribor is not just a place to be for lovers of sports and for all wine lovers (the vineyard-covered Pyramid hill rises directly above the centre of the town what makes Maribor one of the few world’s cities with a vineyard right in its centre; The Benedictine Dveri Pax cellar storing 50,000 – out of 300,000 – litres of wine in oak barrels; The Water Tower Winery; The Vinag Cellar – the largest cellar in Europe; and the three wine roads), but also for event lovers. The Styrian capital hosts numerous international events all-year-round: Lent festival, Old Vine Festival, Maribor Festival, Wine Festival, and many others. And if that is not enough, a congress guest to get even more adventure should try the traditional rafting on the Drava river. The rafts, built in Robinson Crusoe-style, offer a different insight into the beauty of Maribor’s major attractions such as the Old Vine House, the two defense towers along the river, and the old town Lent. Thus, the conclusion is clear: Maribor, although still growing on the MICE map, certainly can not disappoint with the locations and activities on hand for any demanding meeting planner. It is slowly growing, but with a huge effect and there is a bright future in front of it.